Many recent graduating college seniors have sent their 100th resume to prospective employers. 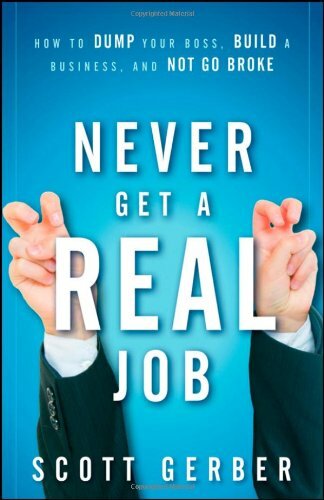 In response to a dismal job market, one recent grad, Scott Gerber , has his answer: Don’t get a real job. Start your own business. Today, small businesses represent more than 99 percent of all employers. They employ 51 percent of private-sector workers and 40 percent of all workers in high-tech jobs. Small business produce 60 to 80 percent of new U.S. jobs. So what are business schools teaching now? B-schools In Touch With The Times “Business schools around the world are on this,” say Jerry Trapnell. “Entrepreneurship is a mainstream part of the agenda.” He should know. As Executive Vice President of the Association for the Advancement of Collegiate Schools of Business (AACSB), he has access to what is happening at 11,000 B-schools globally and intimate knowledge of the 568 his organization accredits in 31 countries. AACSB exec Jerry Trapnell says entrepreneurship is a mainstream part of the agenda at business schools around the world. Emily Cieri, Managing Director of Wharton Entrepreneurial Programs, claims the entrepreneurial program there dates back to 1973. In the U.S., about 400 business schools have entrepreneurial programs, from undergraduate to doctoral. Included are schools with traditional finance and/or accounting tracks. There are others like Babson College whose principal focus is entrepreneurial. And those schools in or near California’s Silicon Valley are geared to high-tech activity and mindset. “Wharton, the nation’s first business school, is also the first or one of the first to have a formal entrepreneurial program,” claims Emily Cieri, Managing Director of Wharton Entrepreneurial Programs. “It began in 1973, but has really cranked up during the last decade.” Wharton offers PhD, MBA and undergraduate degrees, as well as executive and certificate programs. Co-curricular and extra-curricular participation is an essential ingredient in the Wharton experience. The Wharton Business Plan Competition (WBPC) is in its eleventh year. In the fall, teams of 8 – 10 students, working with an advisor, develop a business plan for their start-up company. A panel of experts provides feedback. In January, teams present an executive summary of how they will execute, including marketing and finance details. The top 25 teams present complete plans in March. Finalists, known each year as “the Great Eight,” compete for $70,000 in prize money in rapid-fire presentations to a panel of five venture capitalists and entrepreneurs. In all, 350 students (a third of whom are women) and 250 outside judges participate. The WBPC has generated 150 unique businesses or business ideas in operation today. Teams often include students from life sciences, engineering, arts and communications and occasionally someone from the outside. Another 25 percent of students are involved in Wharton Venture Initiation, from which 24 business ideas are incubated. Winners are given physical space in the incubator center, a monthly meeting with an advisor, workshops, a chance to meet with various experts and opportunities to network with Philadelphia’s entrepreneurial community. The university has no equity stake in these start-ups. Creativity or Business Mechanics? Yes, entrepreneurs need business courses, say Cieri and Trapnell. Entrepreneurs need the same basic skills as the corporate career person: marketing, finance, operations and legal. Scott Gerber took a different route. He’s a graduate of New York University, but not NYU’s Stern School of Business. NYU’s Tisch School of the Arts gave him exposure to acting, performance, music, theatre, film and television, telecommunications and cinema studies. ← Why Make a Video Resume?